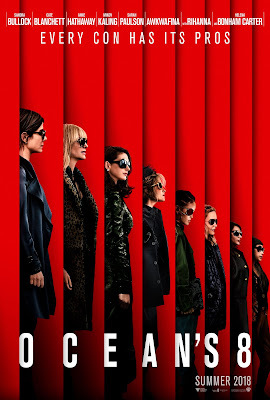 Hopefully the release of this snazzy poster (with a great tagline) for Ocean's 8 means a trailer is right around the corner. Seriously, check out that coat game. All of these ladies are on point. The film, which some have mistakenly called a reboot, is actually a sequel or a continuation of the trilogy of heist movies that starred George Clooney as high-class thief Danny Ocean. Only in this one we're following his thieving sister, Debbie Ocean, played by Sandra Bullock. 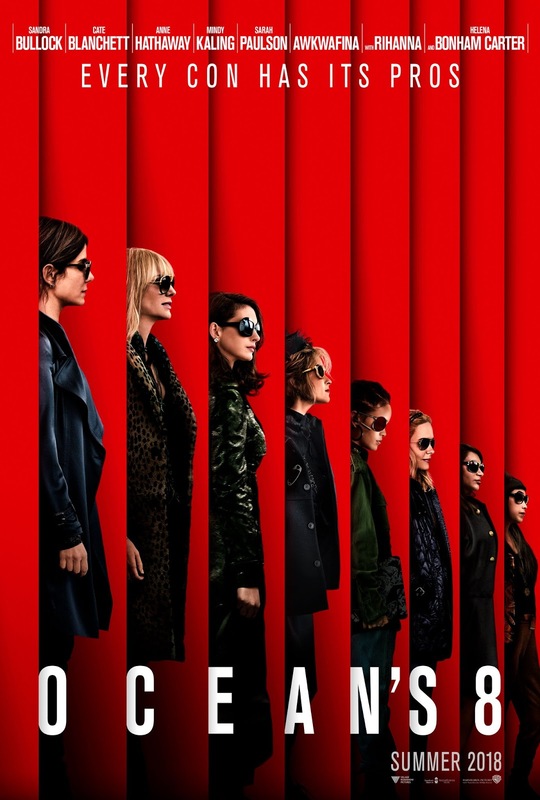 She's joined in her team of crooks by Cate Blanchett, Mindy Kaling, Anne Hathaway, Sarah Paulson, Awkwafina, Rihanna, and Helena Bonham Carter. What's the big crime these ladies are trying to pull off? All we know is that it'll take place at New York City's star-studded Met Gala, and will apparently get under the skin of Debbie's ex, played by Damian Lewis. Richard Armitage also has a role, and there will be celebrity cameos galore, including Matt Damon and Carl Reiner returning from the previous movies. Directed by Gary Ross, Ocean's 8 opens June 8th 2018.